Maybe sometimes you can manage an hour a day, other times an hour a week. Whichever it is, An Hour in the Garden provides you with a monthly guide to creating a beautiful garden: from the first principles of design to the practical jobs that fill all those gardening hours from January 1st to December 31st. This book takes you, the gardener, and makes you a part of your garden's creation. However long you spend in the garden it encourages you to become a part of it, enjoying the tasks: the toil of digging, the excitement of planning and planting, the delight in the colours, everything a beautiful garden brings. With an easy to follow calendar, the various tasks - such as pruning or propagating -are explained at the time of year you need them. 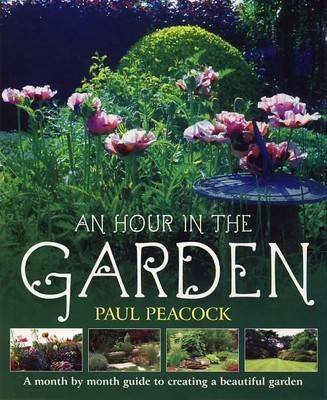 An Hour in the Garden is crammed with planting and design ideas that will inspire any gardener, new or experienced. It brings to life the great show gardens of the world and explains how you can recreate such greatness in your own plot, however large or small. Paul Peacock is Editor of Home Farmer Magazine and has written extensively for the Gardening Press. 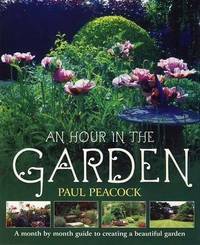 Educated at Leeds and Manchester universities, Paul has a guiding principle in mind for all his writing: people are at their best when in the garden. He is a prolific author of books on gardening and self-sufficiency. Paul will be launching his own website alongside the book to offer more detail and his extensive knowledge of his subject visit.